The Greenwood County Library was established in 1901. The library was housed in several locations before moving to its present site in 2010. The Greenwood County Library Director is Prudence Taylor. 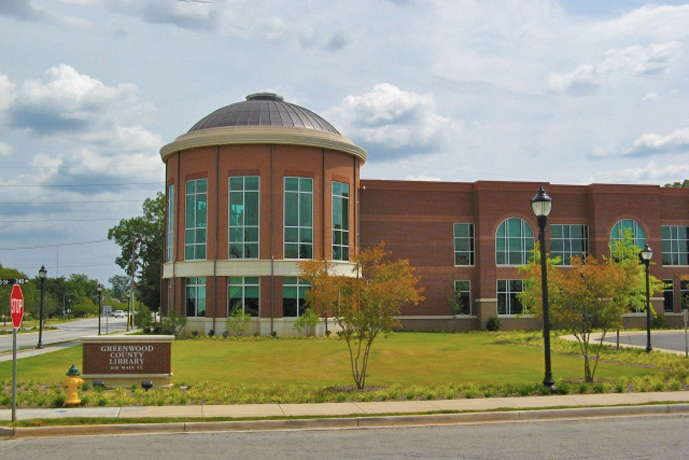 The Greenwood County Library’s main location has computers, photocopier/printers and Wi-Fi. For more information call 941-4650, click here for programs or click here to email the Library Director.